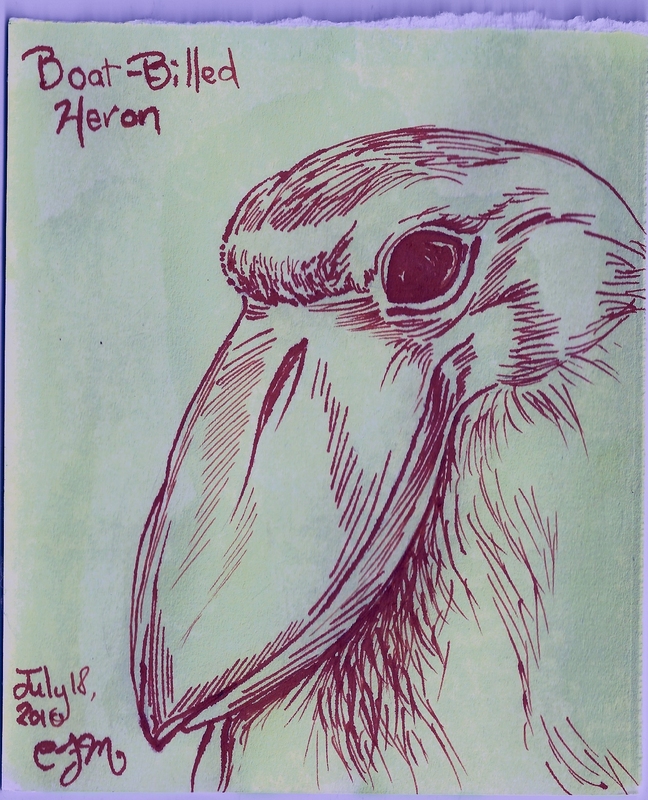 If the boat-billed heron drawn on this same day reminded me of a Muppet, then this bird certainly reminds me of another Jim Henson creation: the Skeksis. 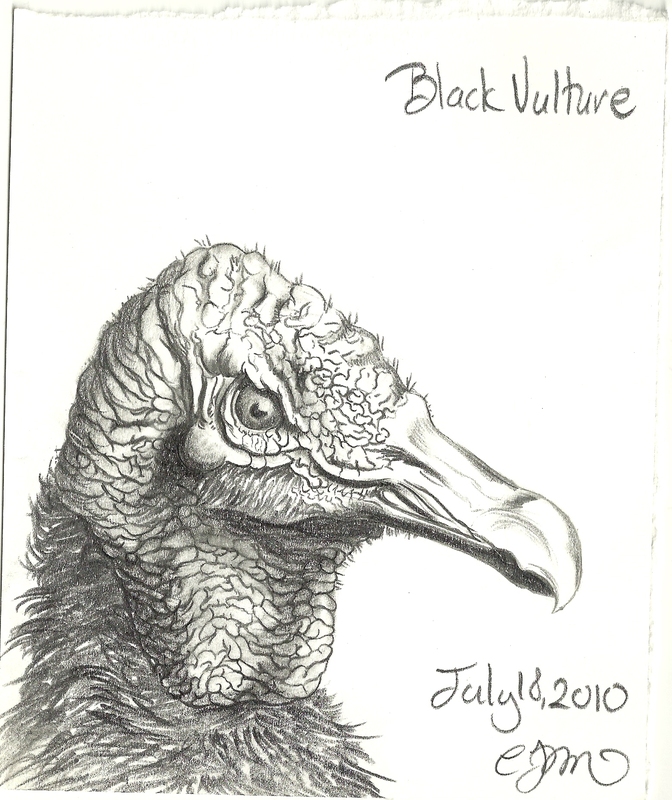 I’m sure Mr. Henson was inspired by vultures in their design – few creatures are more revolting. Oh man, I love Jim Henson and I love pretty much everything he did: but the Dark Crystal left a serious impression. I watched it when I was young enough to truly and unabashedly believe in magic, and the creatures on-screen moved me deeply. So the Skeksis (the bad guys) haunted me. I thought nothing could be creepier. My dad would drive me crazy by making their high squeaky moan/whine noise. And then he would giggle to himself when I clasped my hands over my ears and screamed for him to stop. Ah, the joys of torturing your kids. The wrinkles and folds were fun to draw and a little infuriating. I kept getting lost and losing track – which wrinkle was I on? Does it bend left now, or wait – was I already to the fifth turn? This is such a bizarre-looking creature that I tried drawing him more than once. I drew him again a few days after this attempt (post soon to come). The second drawing worked better. Even though I swear this image is true to the photo, he looks impossibly-designed. Truly, a muppet-worthy creation. Yummy. The texture, the medium, the subject – I am deliciously satisfied with this one. 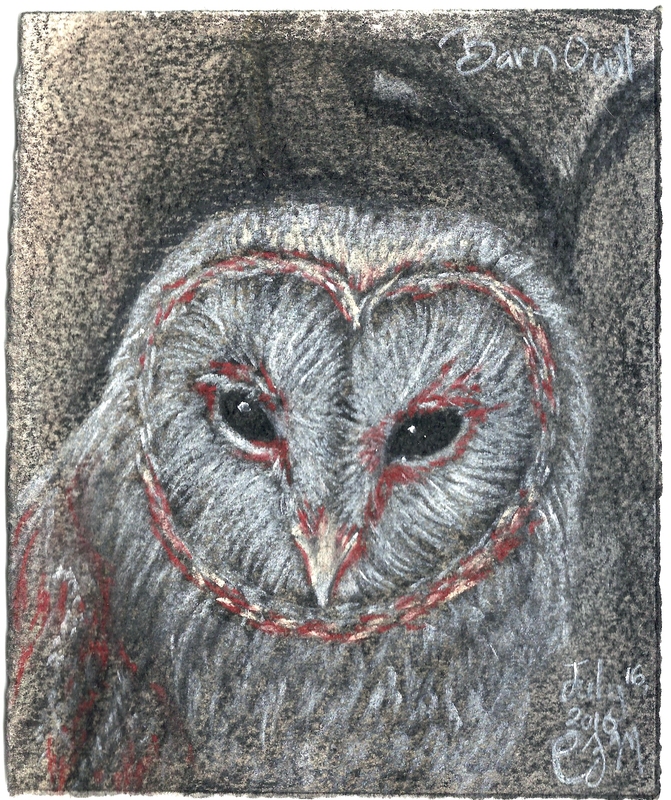 Maybe I should do more drawings in charcoal and pastels? Funky beak. 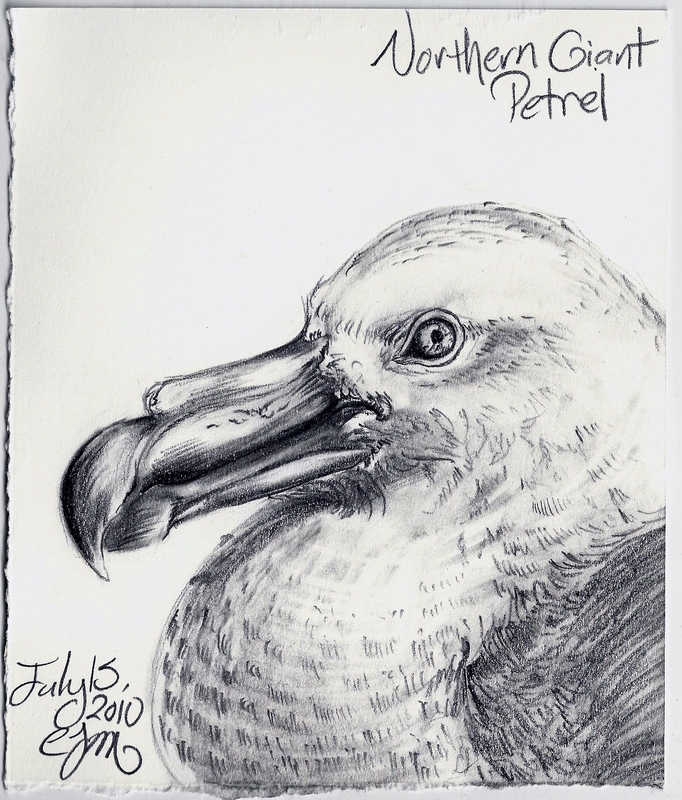 I didn’t really understand what was going on with his beak, but I think it still works as a drawing. 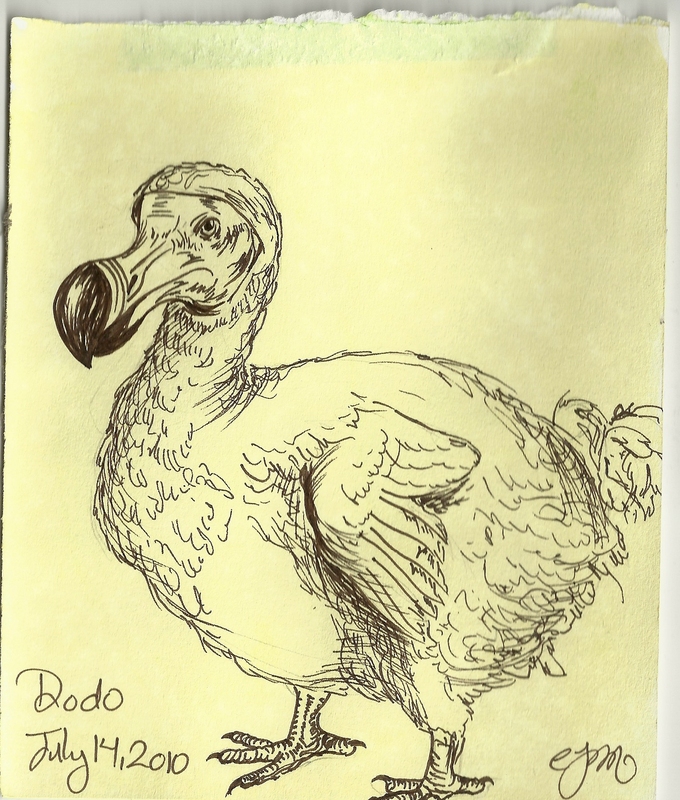 I thought I’d draw the dodo because I remember it from Alice in Wonderland, and because it’s such a bizarre-looking bird. 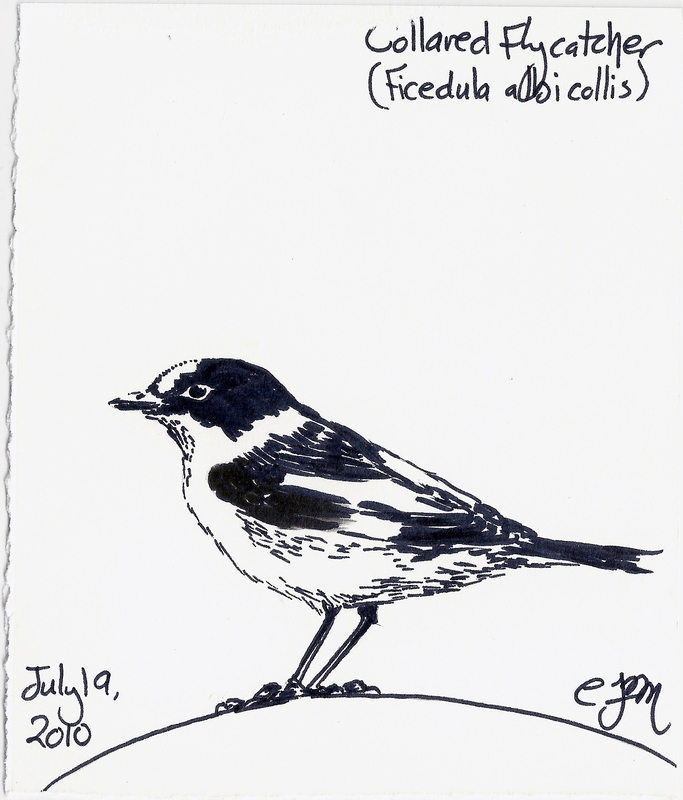 But this drawings suffers from a lack of source material. Every other drawing I did was from a photograph. Unfortunately, the dodo was wiped out before cameras were readily available. So doing a drawing from drawing was problematic, to say the least. I am not thrilled with the results. 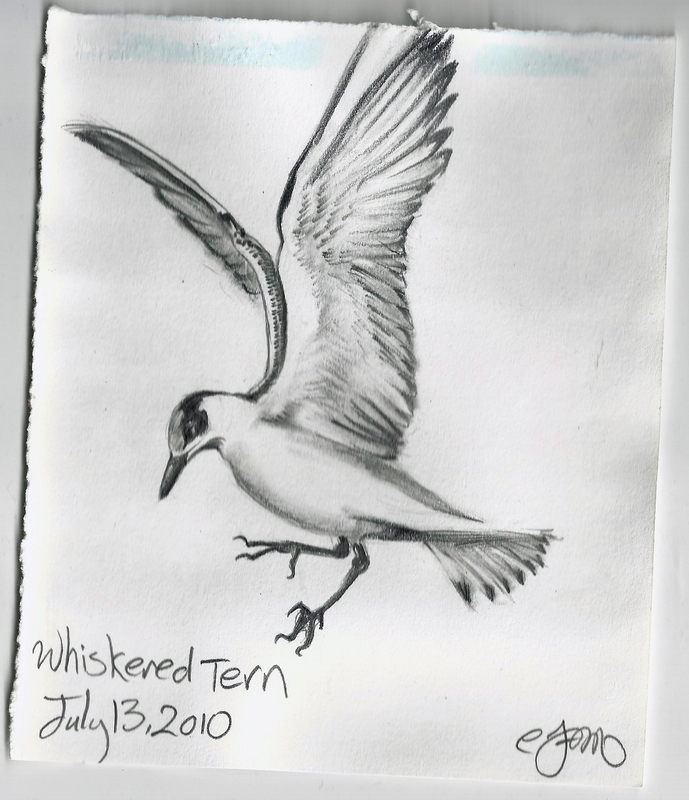 I do love drawing wings, but I try to save them for days when I have the energy and attention span for them. Drawing stiff wings just makes me sad. This one worked. It’s not all birds all the time here. I do draw other things. Like this! This is a commissioned work for the band “Together We Can Rule the Galaxy,” featuring my dear friends Ryan Berman and Kevin O’Connell. They rock and/or roll. 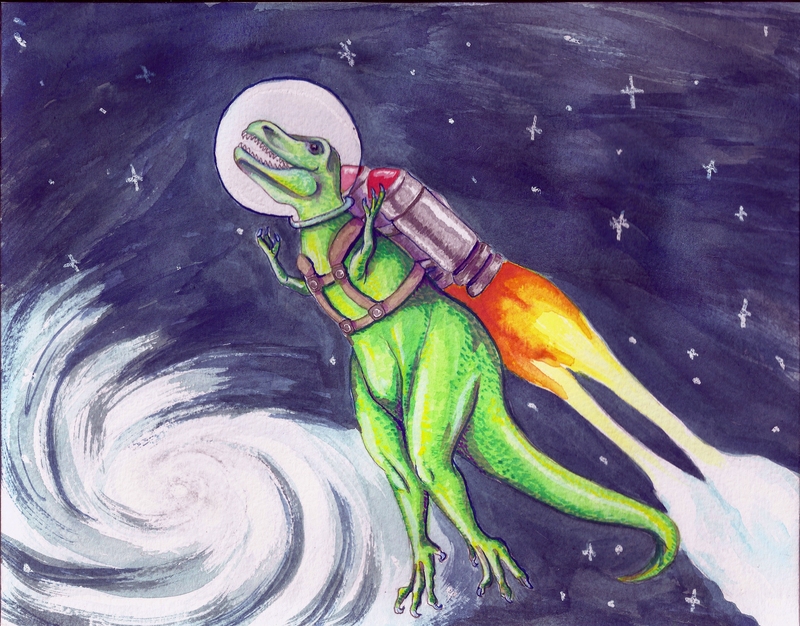 Get their “Tiny Arms” EP and consider yourself rocked. Also – yes, the band name is a Star Wars reference. 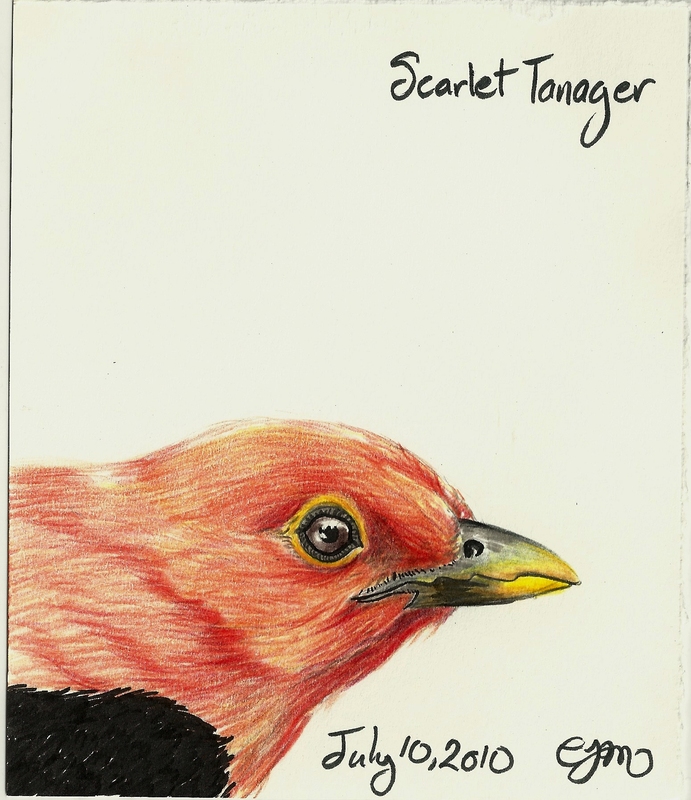 I did two Scarlet Tanagers in one day.